Founded in 2005, Shenzhen Hexinyu Technology Co., Ltd. is located in the beautiful scenery between Xili Lake and Shenzhen University City. 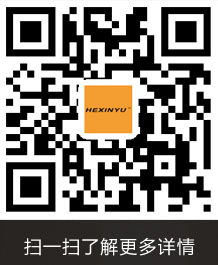 It is a high-tech enterprise specializing in research and development, producing chargers, adapters and LED drive power. Development and production strength. The charger product is suitable for various specifications of lithium ion, nickel hydrogen, lead acid and other batteries. Adapters are widely used in IT, household appliances, communications and other products, and can be developed and produced according to customer specific requirements. It sells more than 5 million pieces of switching power supplies, chargers and LED drive power. The products adopt advanced equipment for production, inspection and reliable quality. The products have passed UL, C-UL, CE, GS, 3C, FCC, PSE, IMQ, SAA, CEC, BS, CB and other certifications. And won a good reputation in the cooperation of many well-known enterprises at home and abroad. We can also customize a variety of non-standard power chargers according to the specific requirements of customers to meet the needs of different customers. The company implements strict on-site management of the production process to ensure the stability and control of each production process, thus ensuring high quality products for customers. The company adheres to the business philosophy of "customer demand is our pursuit" and pursues the service tenet of "quality first, credit first, honesty-based", and strictly manages production according to ISO9001 quality system. The company sincerely welcomes friends at home and abroad, new and old customers to discuss cooperation.